whats your build specs mongo? well honestly not necesarrily. 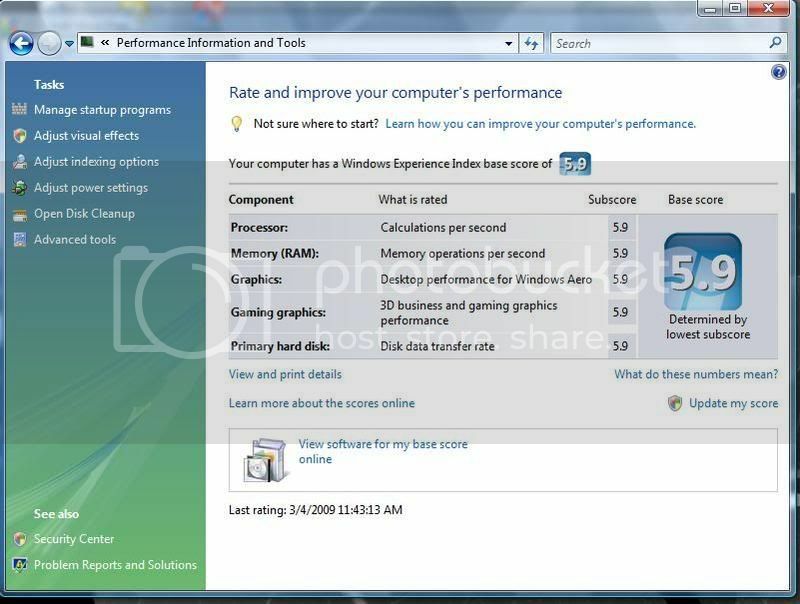 Your score is on windows 7 which is on a 7.9 scale and theirs are on vista which is a 5.9 scale so it may be different. But im sure theres will still be better tho.. I'm actually very happy with my results. I might add another 2gb of ram sometime soon. This is on Windows 7, by the way. I really like this OS a lot, and I like how my primary drive (with XP installed on it) can be accessed through my Windows 7 installation (on a smaller, secondary drive...not partition). So all my music, videos, documents, etc. is all there. So far, Windows 7 scores a 10/10 in my books.